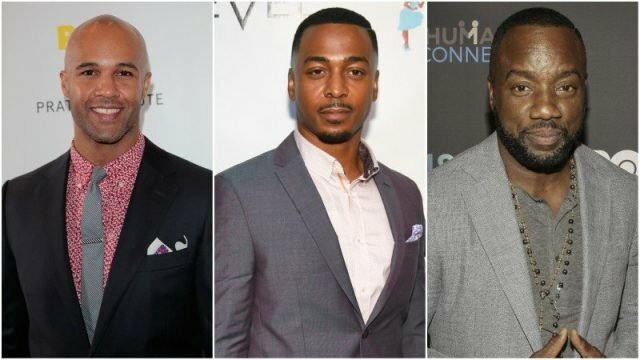 According to Deadline, Mark Tallman, RonReaco Lee, and Malik Yoba have joined the cast of Paramount Network‘s upcoming reboot of the 1996 Paramount film First Wives Club. The series also stars Grammy winner Jill Scott, Ryan Michelle Bathe (This Is Us) and Michelle Buteau (Key and Peele). The First Wives Club was a comedy film based on Olivia Goldsmith’s bestselling novel of the same name which stars award-winning actresses Diane Keaton (Annie Hall), Goldie Hawn (Cactus Flower, Private Benjamin), and Bette Midler (For the Boys, Gypsy). The film follows the story of three friends who have lost in touch with one another but reconnected afters so many years due to the sudden death of their friend Cynthia played by Tony Award winning actress Stockard Channing. The series like the film will also be based in New York City which will follow the story of three women: Ari (Bathe), a stylish and confident type-A attorney who sidestepped her career to support her husband’s political ambitions; Bree (Buteau), a music superstar who has faded from the limelight; and Hazel (Scott) a overwhelmed mom and doctor who hasn’t let loose in years. They will band together after their marriages fall apart while finding strength in their sisterhood and of course a little revenge. Tallman is set to play the role of Ari’s husband, David who is a very driven politician whose ambition and ego often come before his wife and Family. Lee will be Bree’s college-sweetheart husband Gary whose infidelity will prove to be a challenge for their marriage while Yoba will portray the Derrick, Hazel’s unfaithful music-mogul husband. The First Wives Club reboot is a 10-episode series executive produced by Girls’ Trip co-writer Tracy Oliver and Paramount Television. Oliver is also set to write for the series. Karen Rosenfelt and Tony Hernandez of JAX Media along with Scott Rudin ,who was the producer on the First Wives Club film, are the show’s executive producers. The series will start filming in New York City this fall and is slated for a January 2019 release. The post First Wives Club Series Reboot Adds Three to Cast appeared first on ComingSoon.net.